Phuket is a big island with plenty to do beyond its beaches. As one of Thailand’s pricier destinations, your budget will be a big factor in deciding how long to stay here, but if you’re interested to explore the island’s off-the-beach attractions, stay in a hostel or cheap guesthouse and eat at local food shops, you could certainly stretch your stay into a week or even a month. For budget travellers, getting around will take a big chunk of their daily expenses, since Phuket’s transport system is at the mercy of its powerful tuk-tuk and taxi groups, which charge outrageously high fares compared to anywhere else in Thailand. So if you’re planning to stay more than a few days, try to hop on songthaews as much as possible or — if you’re fully insured, licensed and skilled at driving one, rent a motorbike. Naithon beach. Who said Phuket was crowded? Phuket is the main flight transport hub for southern Thailand, so if you’re arriving by air with plans to visit Krabi, Phi Phi or Khao Lak, you’ll likely be arriving to Phuket first. If you have only a day to spend on Phuket, then do visit one of its west-coast beaches. Naithon and Nai Yang beaches are fine, long stretches of sand to spend a day on, while those hoping to find a smaller beach and do a bit of snorkelling might want to check out Banana Beach, just south of Naithon. All of these beaches are a short drive away from Phuket International Airport, so are the best choices if you want to avoid the traffic. 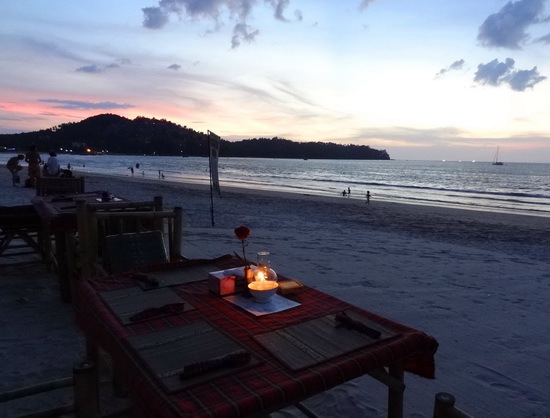 Sunsets and seafood await on Bang Tao beach. 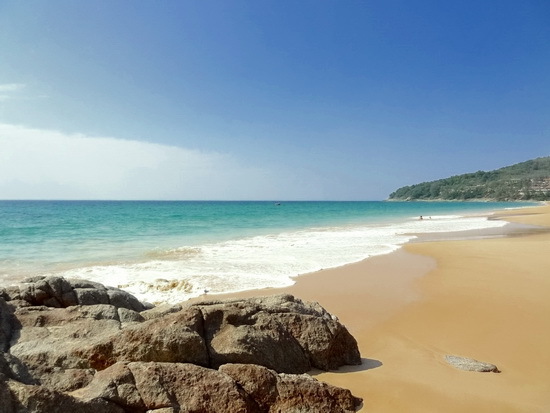 A couple of nights in Phuket gives you more time to explore its different beaches, so you could spend one day at one of the above suggested beaches, then head south to hit another beach. Plenty to choose from, including Patong beach if you want to delve into that crazy scene for a day, or some of Phuket’s more out of the way ‘secret beaches’. Bang Tao beach is a good choice for surf and SUP board rental and on-the-sands dining. If you’re looking for more varied sights, you could spend one day at a beach, then head inland for the second day. An outdoorsy day might involve a mini-hike to Bang Pae waterfall and the Gibbon Rehabilitation Project, while those hoping to see more cultural sights could spend a day exploring the Old Town Sino-Portuguese buildings and Chinese shrines of Phuket Town, or take a trip to the Ao Chalong area to visit Wat Chalong and the Big Buddha. Colour and charm in Phuket’s Old Town. Adding in a few more days gives you more time to explore Phuket’s lesser-visited areas. The island’s east coast is more rugged and rural, and it’s where you’ll still find traces of more traditional ways of life, with quiet roads passing by rubber and coconut plantations leading small fishing villages. On the northeast coast you’ll find Bang Rong and Ao Po piers, from where you can catch a ferry or longtail boat out to the nearby islands in Phang Nga Bay, including Ko Yao Noi, Ko Yao Yai and Naka island. Just east of Phuket Town on the southeast coast is Ko Siray, with some rustic beachfront seafood restaurants, the hilltop Wat Siray temple and the sea gypsy village on Laem Tukkae to visit. 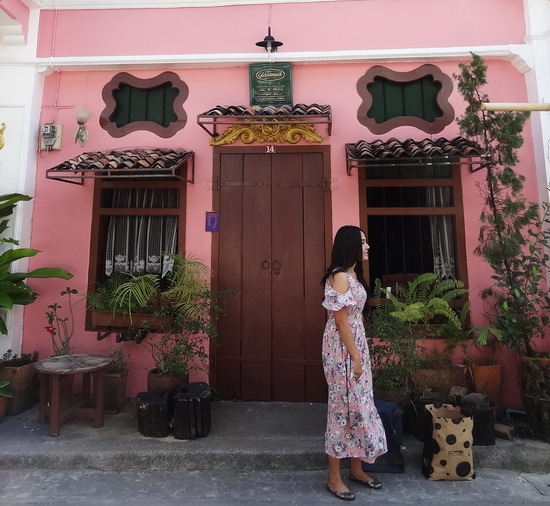 We’d also recommend joining a Phuket Heritage Tour, which includes a guided walking tour around Phuket’s Old Town and a visit to Ko Siray. Further south is Cape Panwa, which still enjoys a slow pace of life even with the arrival of some luxury resorts to its shores. Cape Panwa’s sights include Phuket Aquarium, Khao Khad viewpoint tower, Ao Yon beach where you could take a sailing lesson or rent a kayak or SUP board, and Khao Khad beach, home to the Beach Bar – a favourite local watering hole. 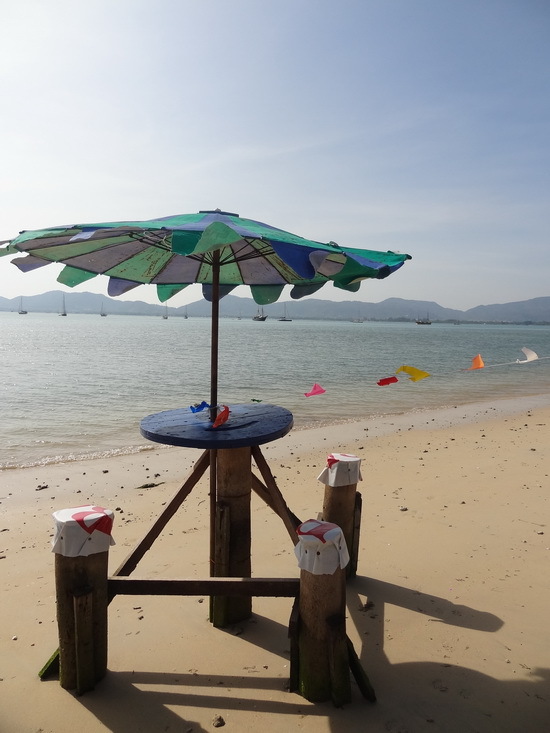 Just add a cold Leo for beach bar perfection: Khao Khad. Beyond continuing to explore Phuket’s beaches and inland sights, if you have a week or two to spend on Phuket you could try to mix things up with a Thai cooking course, surfing and SUP lessons, snorkelling or scuba diving trips off the nearby Raya islands or up to the Similan islands, kite surfing or wakeboarding. Massage sessions on the beach or in one of Phuket’s many massage therapy shops is a must, or if you have a bit more cash to burn you could indulge in a more elaborate spa treatment. Most Phuket resorts have a spa attached, including the world-famous Banyan Tree if you’re keen to go all-out. Beauty and hair salons are also found everywhere at many different price points. Don’t forget the snorkel. An easy day trip takes you to Raya island. A growing number of people are arriving to Phuket in search of self-improvement – yes really! — particularly by boosting their fitness via Muay Thai training at one of the many camps here, or by doing a detox/cleanse programme. As well, Phuket has some good hospitals with well-regarded plastic surgeons, and dental care is widely available and reasonably priced. 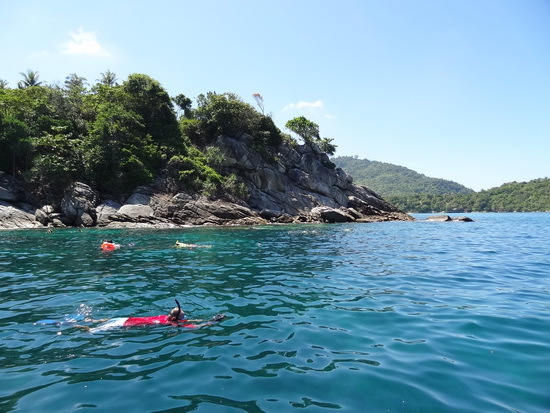 Or you could learn to sail, or enrol in a PADI Divemaster course in the hope of one day leading liveaboard excursions out to the Similan islands and beyond – then you might end up in Phuket for many months or years, as has happened to many!